Video marketing is on the rise as a means of increasing conversions and bolstering sales for businesses across the globe. According to the Cisco Visual Networking Index, IP video traffic will account for 82% of all consumer internet traffic by 2021 with internet video traffic projected to grow fourfold between 2016 and 2021. Given these projections, you can hardly afford not to devote more resources to video marketing. Below are the top reasons why video marketing is crucial to your content strategy in 2019. "According to Transcribefiles.net, including a product video on the landing page of your website can increase the conversion rate by 80 percent...Videos can also result in a direct increase in business sales. Recent research reveals that over 74 percent of viewers who watch explainer video of a particular product end up buying the item." "Video is an effective platform for answering industry FAQs. Think about questions your customers commonly pose to you or that they might be too embarrassed to ask. For instance, a restaurant might upload a video on tipping etiquette. A jewelry designer might share a tutorial on how to change a watch battery. A flooring contractor might explain how to measure a room's square footage. These how-to videos don't need to be overt sales pitches, but instead seek to position your company as an approachable, knowledgeable and helpful resource." Current and prospective customers enjoy working with organizations that are helpful, approachable, and up to date on the latest cutting-edge industry trends. Video marketing will help your business establish itself as a knowledgeable industry leader with an interest in helping consumers. Through its dedication to helping customers, your company will gain industry traction and earn a more positive reputation. "Why just tell people about your products when you can actually show them? Product videos done right can be a fantastic tool to help your target audience understand your product and the philosophy that sets your company apart. You can use your product video to engage your customers in every step of the launch." Today's products are increasingly sophisticated and not always simple to market, master, or assemble. With the help of online videos, your company can facilitate your next product launch. You can begin by using video to generate enthusiasm in advance of your official launch date. Then, after your official launch, you can use video marketing to create interactive installation or assembly guides. Finally, you can use video testimonials to showcase positive experiences customers have with your new product. 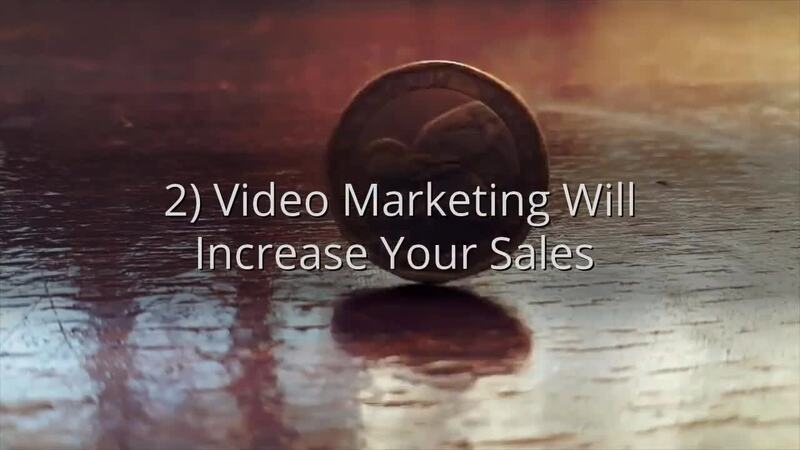 "83% of businesses say that video provides good return on investment. Even though video production is not yet the easiest nor cheapest task, it pays off big time. Besides, online video editing tools are constantly improving and becoming more affordable. And even your smartphone can make pretty decent videos already." 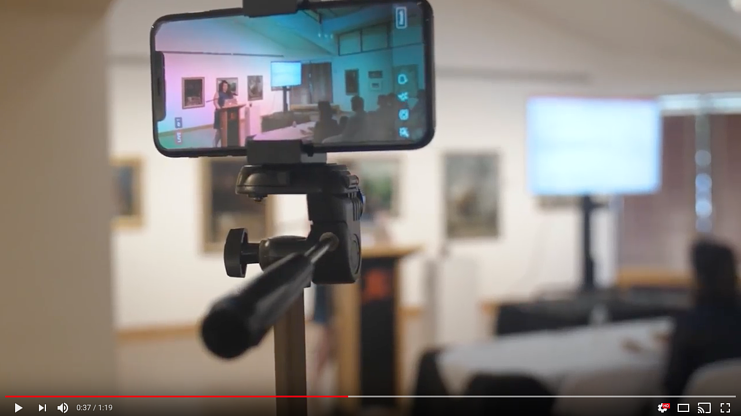 Video marketing will continue to grow in popularity as cost-conscious business owners discover how affordable video marketing is. With ongoing improvements in technology and online editing tools, videos are easier than ever to introduce and edit if necessary. With over 80% of businesses reporting a positive ROI, video marketing is expected to continue to gain popularity. What is the best way to introduce video marketing to your business? As outlined above, there are many reasons why your business should introduce video marketing to your company's marketing initiatives. However, you can maximize the impact of your video marketing efforts by seeking the guidance of an expert in the inbound marketing industry. For years, the creative team of professionals with Ascend Inbound Marketing has worked with sales teams to help them exceed their goals and delight their customers with professional video marketing. We invite you to contact the Ascend Inbound Marketing team for a complimentary assessment. We look forward to helping you optimize your marketing initiatives!